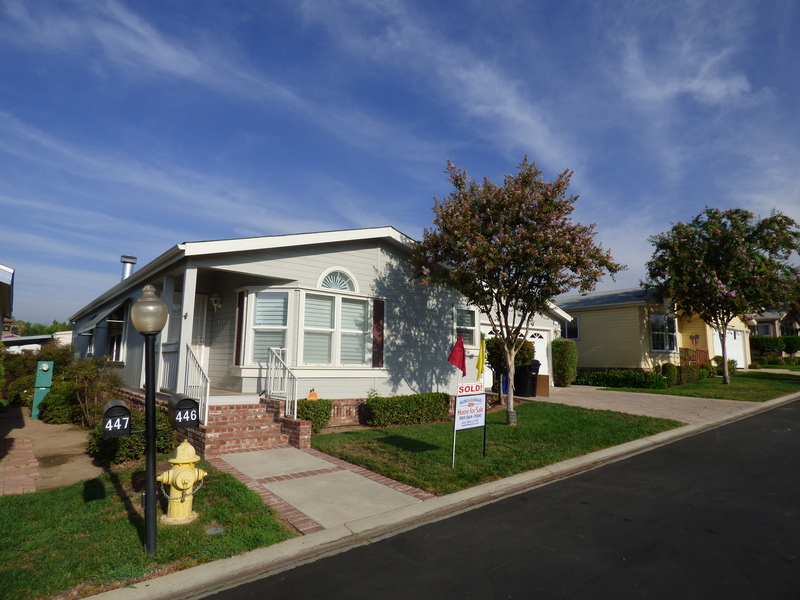 Since 1972, we’ve been building a reputation as one of the most respected Senior (55+) mobile home communities in southern California. 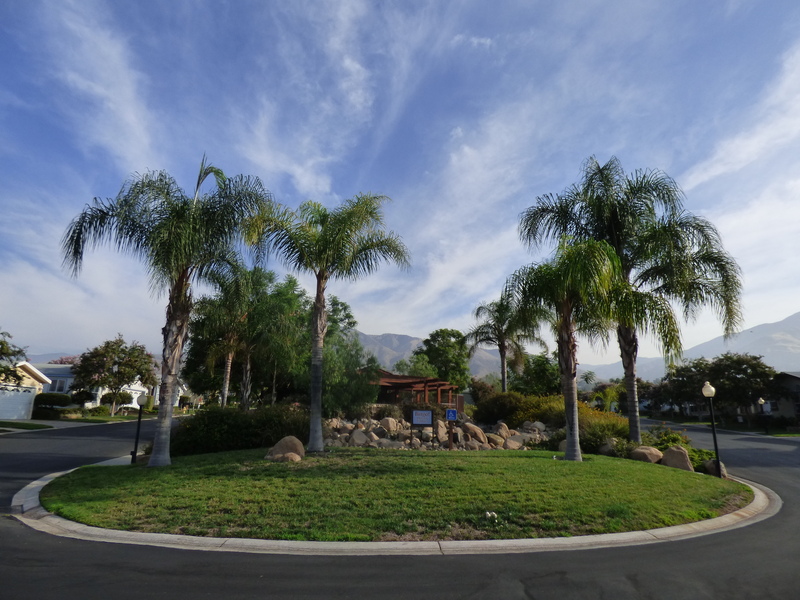 We’re located in Highland, California, nestled at the base of the beautiful San Bernardino Mountains within blocks of shopping and medical facilities. The mountain, desert, and beach resort destinations of Lake Arrowhead, Palm Springs and Newport Beach are all an easy 40 to 90 minute drive away. Within the park, beautifully groomed common grounds, sparkling recreation facilities, and a full social calendar afford you every opportunity for active or passive leisure-time activities. We sell both new homes and resale homes. Our new homes are built by Hallmark, and our considered among the very finest manufactured homes built today. Our resale homes are often upgraded or completely restored. Our full-time licensed agents, led by Adella Montoya, take pride in their ability to match the buyer’s needs to those of the seller. Stable, responsible park owners have combined with stable, responsible residents to build a unique atmosphere of trust and cooperation. Fred McNeal, Jack Duckworth and Tom McNeal are the original owners and builders of Valencia Lea and, in conjunction with a full-time, on-site management and sales team, they continue to take an active role in the park’s day-to-day operation. Our stated aim is to provide every resident with a quiet, friendly place to come home to, immaculate facilities in a park-like environment, and prices that beat the competition. 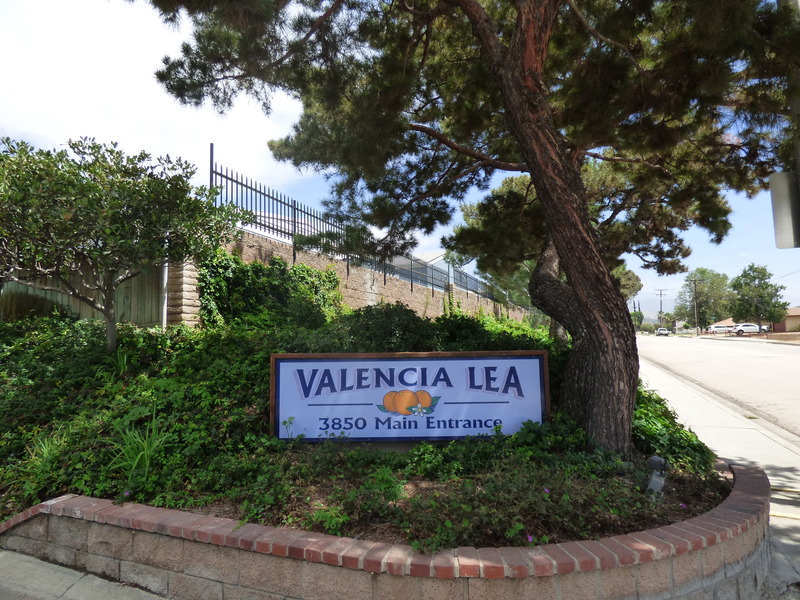 ©2018 ValenciaLea.com - All rights reserved.